ISBN 978-0-9847140-1-8, published in 2013. MdM Publishing, Wellington Fl., hardcover in laminated boards with a stitched binding, about 7¼ by 10-inch size (18.5 by23 cm), 155 pages, with 48 full-color plates and numerous large color illustrations for steps in the identification key. 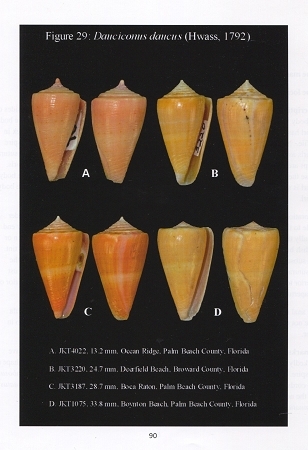 This is the first clearly written and fully illustrated guidebookto the marine Mollusks in the families Conidae and Conolithidae found in the waters off Florida from the shoreline to the continental shelf. Written and illustrated by long- time cone collector and expert cone expert. now retired from the Illinois Natural History Survey. 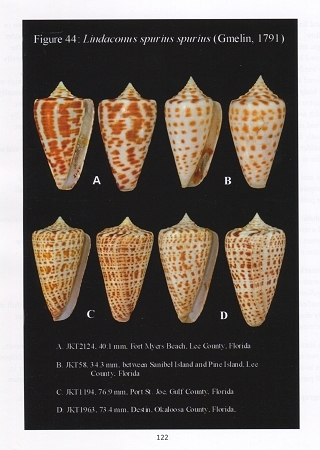 It is a clear and concise guide to these shells with well-written descriptions that include a listing the numerous synonyms for these shells and superb color photographs of usually several specimens of each species. 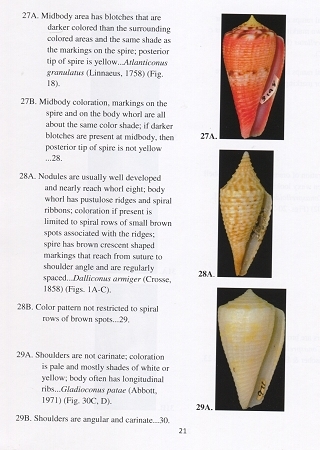 Additionally, there is an illustrated step by step key to narrow down the identification of each of these shells. In all, there are thirty species (including one new species) in the book and three subspecies. 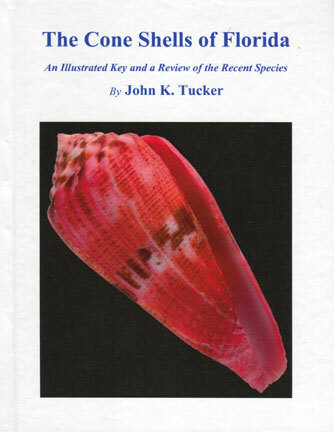 Everyone interested in Cone shells and Florida shells both amateur and professional will find this book a tremendous improvement over the sometimes spotty and often inaccurate accounts of these shells found in other books. We are the publishers of this book and we are justifiably proud of it.